W.L. 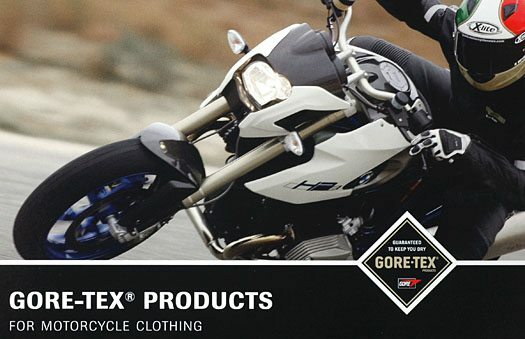 Gore & Associates is renowned as a specialist for the manufacture of highly functional, breathable, wind-blocking and water-repellent membranes for motorcycle gloves. Now these attributes have been further improved with X-TRAFIT technology, a revolutionary technique that ensures a sensitive grip feeling and optimal comfort for the hands. Motorcyclists demand a lot from their bodies, and especially from their hands. A biker’s hands have to steer, clutch, brake and simultaneously give the engine exactly the right amount of throttle. That’s why good motorcycle gloves must satisfy rigorous requirements. They must protect the biker from injuries and damage to the joints. They must remain lastingly breathable in the summer and watertight in the rain. And they must be very comfortable to wear. 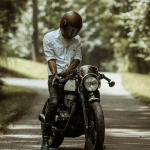 But until now, a glove that could satisfy all of these criteria always posed another problem: it significantly reduced a biker’s feel for the motorcycle. Now Gore has found a way to solve this problem. The solution is called “X-TRAFIT technology”. Many watertight motorcycle gloves are made of four layers: a sturdy outer material; an insulating layer; a watertight layer and a lining material. Normally these layers were attached to one another only at the fingertips, where they were either sewn or glued. Because of these loose connections, the layers inevitably shift back and forth, become creased and folded, and practically guarantee that the glove wouldn’t fit optimally well. It’s easy to understand why bikers long for a glove that would give them a better grip. The robust new membrane used in the X-TRAFIT technology makes it possible to eliminate two layers. Furthermore, all remaining layers are laminated to one another using a special three-dimensional process. Gore developed a new thermal adhesive with a netlike structure so that it doesn’t reduce the glove’s breathability. These gloves achieve unprecedented excellence in fit, comfort and toughness. Motorcyclists feel as though they’re wearing single-layer gloves that could easily grasp even the smallest objects. This ensures excellent level of tactility and ergonomic comfort. Put those two together and you get perfect control over your bike – in every situation. Like all of Gore’s other products, the X-TRAFIT technology comes with Gore’s long-term guarantee: “GORE-TEX guaranteed to keep you dry”. This promise doesn’t only apply to the individual parts of the glove, but to the entire construction. Torrential downpours aren’t a problem anymore, even if you drive through them at high speeds. Comprehensive tests have shown that a GORE-TEX motorcycle glove with X-TRAFIT technology stays watertight through up to 200,000 gear shifts. At the same time, it also remains very breathable. That’s a decisive advantage on hot summer days because the glove immediately transports excess heat and moisture outward. Another success is the three-dimensional lamination, which prevents palpable folds from forming between the layers. T he result is a cool summer glove with perfect grip, so the hand inside that glove won’t perspire, feel chilly or get wet. To guarantee the highest quality, Gore carefully checks all materials before they’re processed to become a glove. Each manufacturer of gloves with X-TRAFIT technology is required to craft them in strict compliance with Gore’s predefined instructions and sequences. High quality craftsmanship is essential to glove manufacturing. To optimize the assembly process, Gore designed special machines which Gore makes available to manufacturers who’ve been entrusted with the complicated task of crafting X-TRAFIT gloves. Furthermore, every employee receives special training to work with the machines and materials. Gore then works closely with the manufacturers to test the resulting prototypes under extremely rigorous conditions reflecting real life conditions and wear and tear. This ensures that each and every manufacturer upholds the same high standards of quality.